I don’t know about you, but I feel pretty bloated around the holidays. Although I love, love, love indulging in all the tasty delights, I know my body needs a break in between all the feasting. 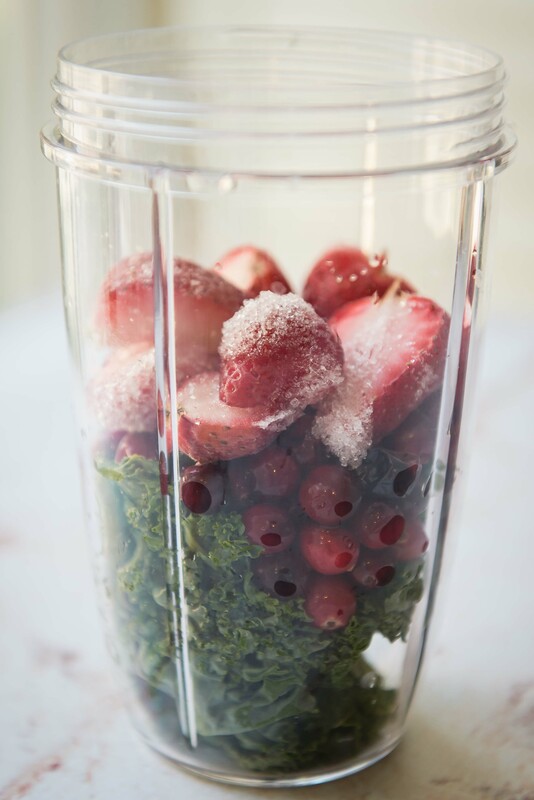 To keep in the holiday spirit, I decided to include cranberries in this green smoothie. 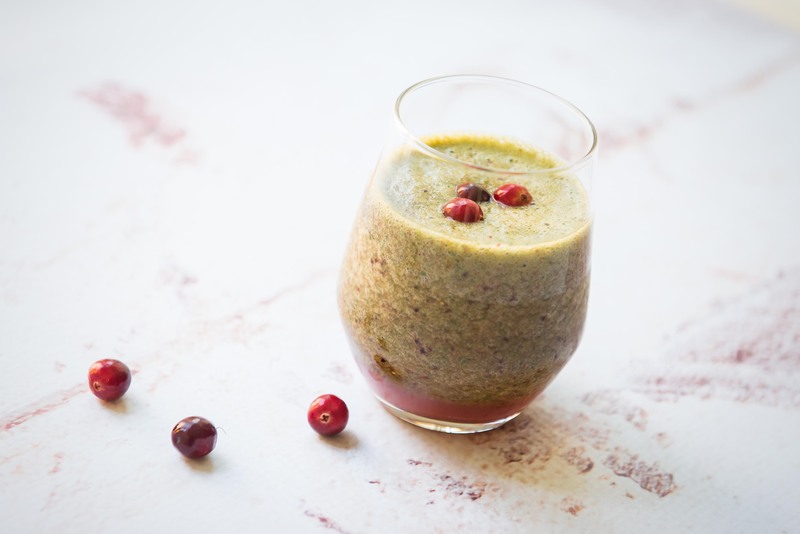 Cranberries have a ton of health benefits and outrank nearly every fruit and vegetable when it comes to antioxidants. Only blueberries beat out the almighty cranberry. I figure if I drink enough of this smoothie it’ll cancel out all the fat and calories I consume between November and December. Yes, I think so. Someone once told me if you believe it, then it’s true. But I think this someone was trying to explain why my failing students are surprised when they see their grades. Hah! I like to freeze my own fruit. I’m afraid of all the worms and maggots and rodent hairs the USDA allows in frozen food products. I like the layer of light pink on the bottom as separation occurs. Look, Raylene, I’m using one of the backdrops you gave me! Good idea! I need detoxing, too! XOXO, Angie. Yay! Love it– the recipe, the backdrop, everything. Very crisp and bright…perfect for the holidays. 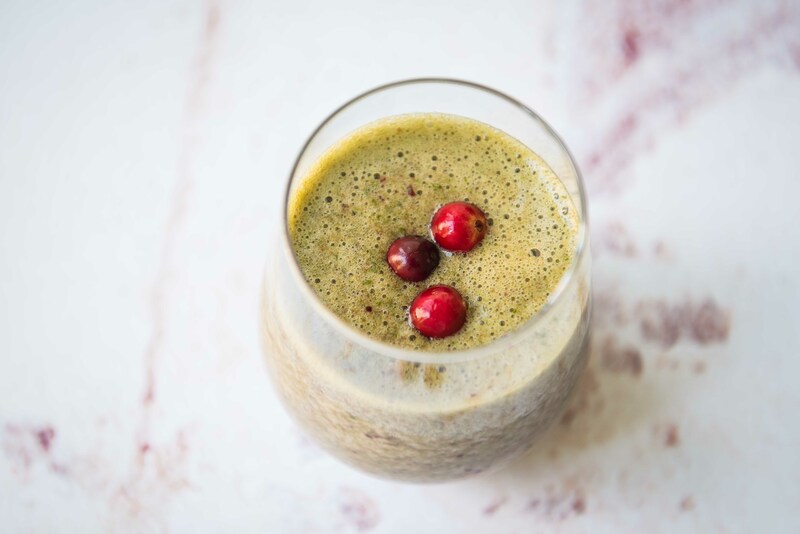 Detoxing during the holidays is a great idea! 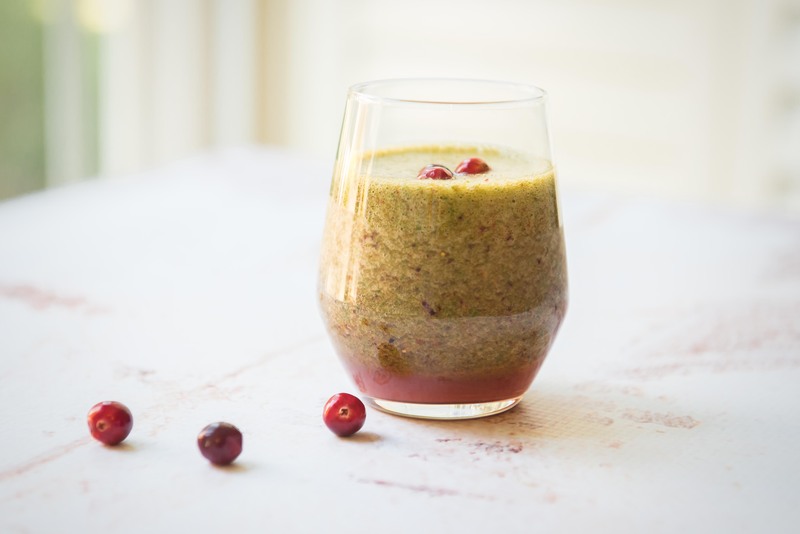 After Thanksgiving I used up some of my cranberries and added them to a green juice I made. It was the first time I had juiced fresh cranberries. I loved it! 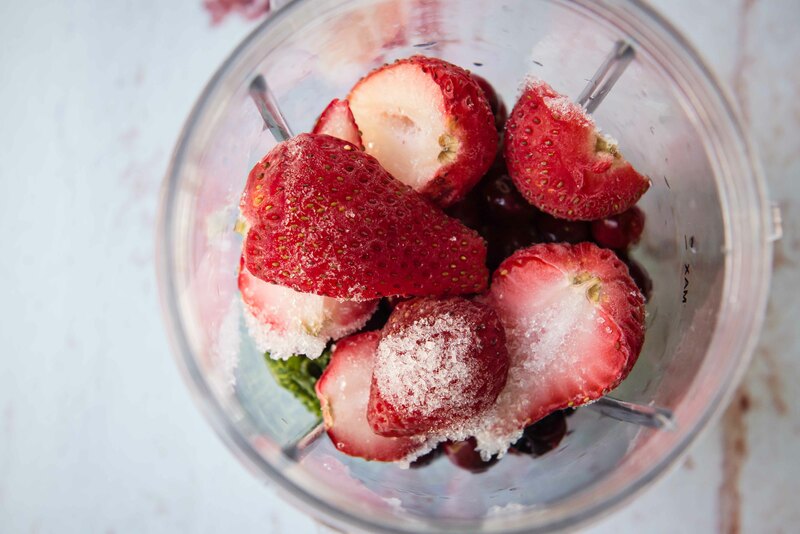 Will definitely have to juice some more in the next few days and weeks so thank you for sharing your recipe for this delicious looking detox smoothie!